Quadrant actively seeks collaboration with other organizations in the delivery of recreational marine industry training. 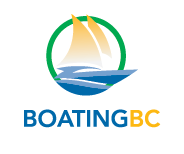 Our program was developed, and continues to be used to train apprentices in the boatyards of British Columbia on the west coast of Canada. It is now being implemented by the province of Nova Scotia on Canada's east coast. Our experience in program design, training materials development and workplace assessment is unique in the marine service and repair industry. Manufacturers will also find our standards and practices consistent with construction goals. The broad understanding targeted by the Quadrant program will be a major asset for anyone looking to build a career in manufacturing. What Does our training program deliver? With 15 years of know-how working with other institutions, industry organizations and corporations we know how to tailor training and assessment systems that make practical sense to unique circumstances. Our extensive suite of training materials can be customized to meet your needs for basic industry knowledge. Our approach to competency based training and workplace assessment will help make your program relevant and effective. We understand the realities of recreational marine industry service, repair, and manufacturing. Quadrant will work with your management team or institutional program planners to assess the primary needs for training in the workplace. We will look at the current levels of skill and experience in the subject group — whether existing workers, the prospective applicant pool, or training program entrants. This is the starting point for a practical program design. With a thorough knowledge of your training needs we will build an effective response, pulling together the available resources: instruction, facility, and learning materials. Knowledge gained through instruction and formal training is critical to skill development, but as employers ourselves we understand that competence on the shop floor must be the prime goal of any effective industry training program. It is what workers can do with tools and materials that really matters to us. We understand the economic realities of your workers’ ability to perform their jobs within standards set for timeliness, quality and safety. Competence is demonstrated when workers can problem solve and perform their function competently in a variety of circumstances. Almost always it is the worker’s direct supervisor who is best able to assess the learning development and competence of the worker on the shop floor. Quadrant provides guidance and training for supervisors to help them assess their employees. We have developed assessment tools for 55 typical boatbuilding and service competencies that guide supervisors through the process.